RootsTech 2018 is done and in the books, or is it? The theme for the 2018 conference was Connect. Belong. 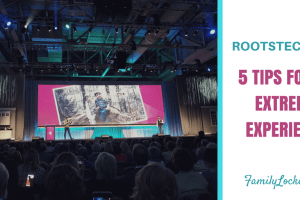 Reflecting on the amazing connections I made at RootsTech, that sense of belonging will continue. I couldn’t think of a better way to share my experience than through photos, so here is a sampling. RootsTech introduced the new addition to the FamilySearch app of “relatives around me.” Each day, host Jason Hewlett, reminded us to take out our phones, tap the app, and see how many cousins we had at RootsTech. I had over 300 each day, mostly distant cousins I didn’t have a chance to meet. However visiting with first cousins, Kathy and Cindy, who had traveled from California and Oregon for the conference was a highlight. We hadn’t been together for over thirty years. What a joy to catch up on our lives and to share our love of family history, inherited from our sister mothers. 2018 marked the third year in a row that Nicole and I attended RootsTech. Always great fun to be together, we were happy to be joined on Saturday by husband and dad, Mark. Wearing my chromosome balloon hat reminded me of the many cousins yet to be discovered through DNA. 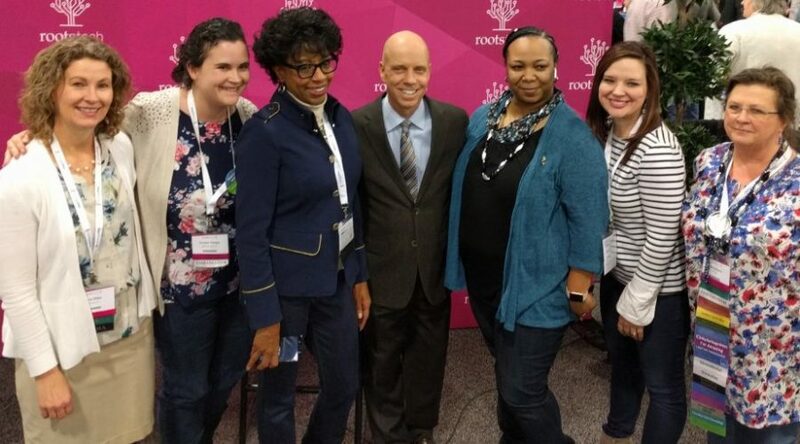 As RootsTech Ambassadors, Nicole and I rub shoulders with other people interested in this thing called genealogy: fellow bloggers, professional genealogists, social media mavens, talk show hosts, photographers, videographers, and more. What do we all have in common? We savor the opportunity to come together each year in Salt Lake City to revel in the incredible experience of Rootstech. Whether it’s interviewing keynotes speakers, catching up on the year, or just getting to know new friends, our time in the Media Hub is well spent. Connecting with fellow genealogists continues to be a favorite part of my RootsTech experience. Presenting lectures at RootsTech gave us the opportunity to make many new friends. 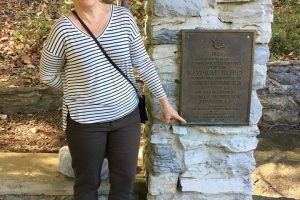 The genealogy world is small and our love for this work is a powerful connector. Connect. Belong. Relative Race and DNA. If you’ve never watched Relative Race on BYU TV, you might want to start. In it’s third year, the show features four couples racing to meet relatives identified through DNA. Each of the couples on this season has a touching story to be told. For some, connecting with relatives finally is giving them a sense of belonging to family. Meeting host Dan Debenham and team red at RootsTech was a highlight, as well as trying out a Relative Race car. 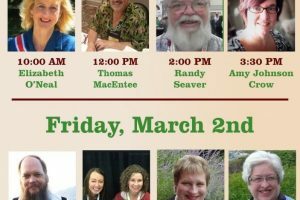 Consider taking the RootsTech theme to heart. In our work as family historians and genealogists, isn’t that what we do? Connect. Belong. Through our genealogy research and now DNA, we discover connections to cousins as well as to our ancestors. We tell stories of the past to our children to give them a sense of belonging. Let’s remember to Connect. Belong. Always.